A new event of overseas tourists lost in the bush has rekindled concerns about the duty of care for visitors by the government and the industry. A couple, believed to be Americans aged between 50 and 60, triggered a search by reporting themselves lost in the West MacDonnell Ranges. Their position remained unclear because the mobile phone they were using cut out before further details could be given. The tourists made it back to safety but failed to advise police. In February a German couple perished after becoming lost in the Trephina Gorge national park in the East MacDonnells. 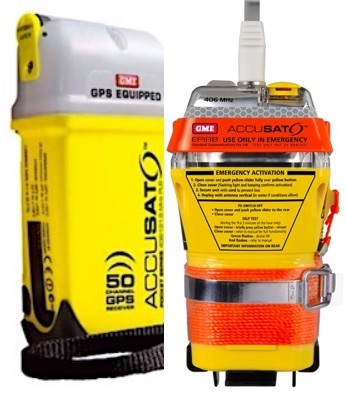 In other parts of Australia satellite based locator devices are recommended, available at low cost or provided free of charge by the state parks services – in NSW, for example, in the Blue Mountains. In Tasmania EPIRBs (Emergency Position Indicating Radio Beacon) or PLBs (Personal Locator Beacons), pinpointing a lost person’s position to the accuracy of about 50 meters, are available for $40 a week from the parks service. In Central Australia, where remoteness and heat make these gadgets even more essential, they are not provided by the Parks and Wildlife Commission. Its website – for those who know – names commercial providers but the devices are generally expensive or not readily available or both. Apart from the personal tragedy, potential and actual, walkers going missing are a burden on police resources, and we have asked for the estimated costs of both recent searches. According to a media statement, police received a call at about 6.30pm on Thursday last week “from a male with an American accent. In the afternoon of last Friday police were able to make contact with the Americans in Perth. They had “self-extricated” but didn’t bother to tell police, a spokeswoman said. • An Alice Springs company which doesn’t hire them out but sells them for $349. They offer a satellite phone for $90 a day or $170 a week, plus $4 per minute for calls. • A Sydney company charging a minimum of $88 a week. It would need to send the device from Sydney which “would take a couple of days”. • Two other companies listed their mobile numbers, calls to which went to answering machines. XLCOM, another company in Alice Springs, provides the best service, offering PLBs for $11 a day. However, only one is available at present and two are being repaired. Owner Rosemary Wiese says she also hires out sat phones, for $33 a day. May be if people had to pay for their rescue, others will be preparing their walks / holidays a bit better / safer. We can see more and more an attitude of assuming that someone would take care of me. Faith in oneself should come before faith in others in any ways of life. Perhaps if possible a tracker device that a person carries in their bag or somewhere so when they fail to get to a place then they could be tracked. These devices could be hired out at a reasonable price and the people must return them when they finish their walks etc. A deposit could one way of making sure they are returned. If people are going on the Larapinta Trail for example, or going by vehicle out bush, then they must notify whomever issued them with a tracking device of some sort. Does not necessary need to be handled by the police.